Are you looking for a great crock pot meatloaf recipe? 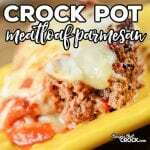 This Crock Pot Meatloaf Parmesan is a HUGE hit at our house for family dinner and it is also great for folks who are trying to eat low carb! 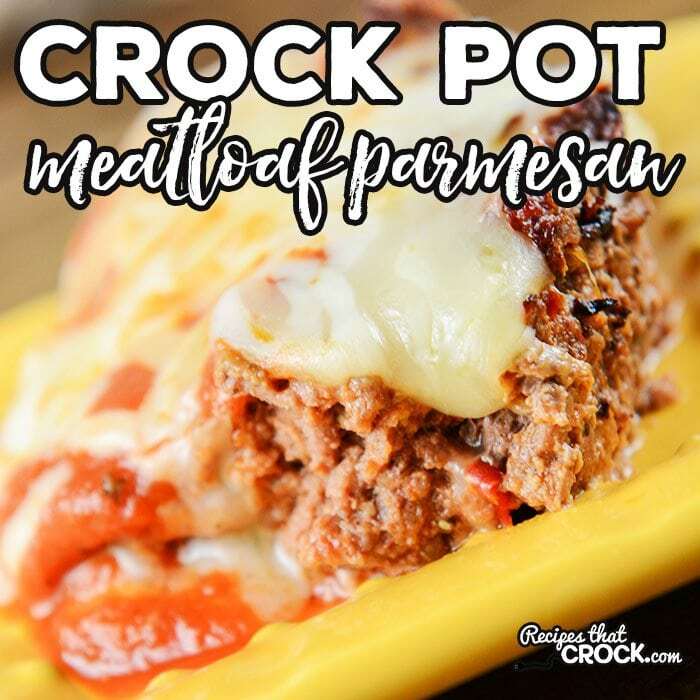 I have been wanting to try to make a low carb meatloaf in the crock pot for ages but frankly, I am very picky about my meatloaf, so I wasn’t sure how I wanted to go about it. 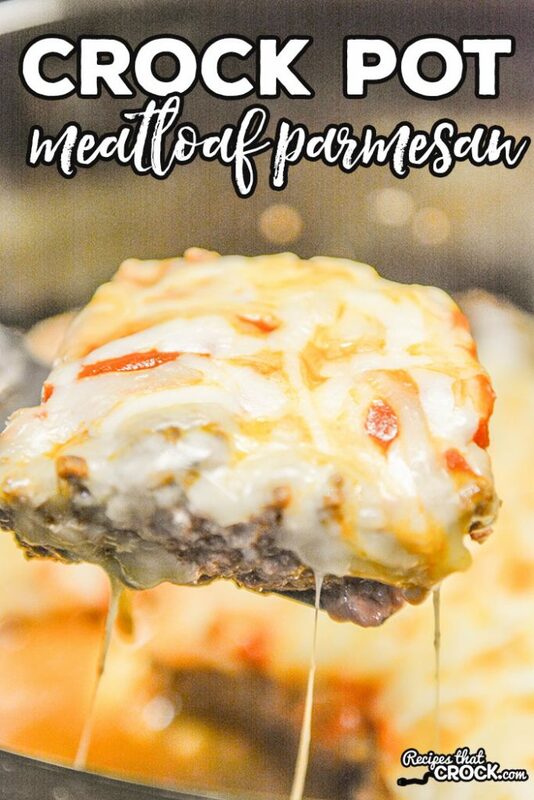 T hen I came across a marinara meatloaf in The Complete Low-Carb Cookbook and it got me thinking. I loved the way George Stella used Parmesan cheese as the binder, so I gave my own version a go in my slow cooker. The results were fantastic! We have made this several times and everyone fights over the leftovers! In a large bowl mix together 1 cup of the pizza sauce with meat, onion, garlic, peppers, parm, eggs and seasonings. I like to use my VERY favorite food chopper to mix up my meatloaf. Spray a 7 or 6 quart slow cooker with cooking spray and pat meat down into the crock, making sure the center is pressed down more than the outer edges. With a spatula, push extra oil from top of meatloaf off to sides. Pour remaining pizza sauce on top of the meatloaf and top with cheese. Cover with lid for a few minutes until cheese melts. Using lean ground beef for this recipe is important because the meat will shrink up and the fat will pool around the outside of your loaf. If you use a higher fat beef, your loaf will be a lot smaller and you will have a lot more excess oil around the outside. Once your meatloaf is done, lift slices out of oil and store leftovers in a sealed container in the fridge for up to 3 days. We estimated this recipe to be 370 calories per serving with 7 net carbs using the ingredients we chose. As with any of our recipes, calorie counts and nutritional information varies greatly depending on which products you choose to use when cooking this dish. 0 Response to "CROCK POT MEATLOAF PARMESAN"